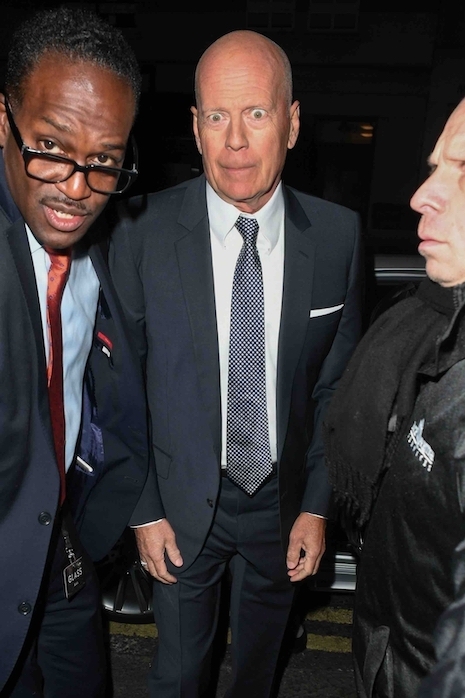 NOW we know why Bruce Willis has been looking a bit out-of-it lately. We just saw his new movie Glass, which Bruce and the other cast members have been promoting in Europe. We figure Bruce is just plain EMBARRASSED at what his career has become. We found M. Night Shyamalan’s new “thriller” shockingly awful with pretentious and nonsensical dialogue. 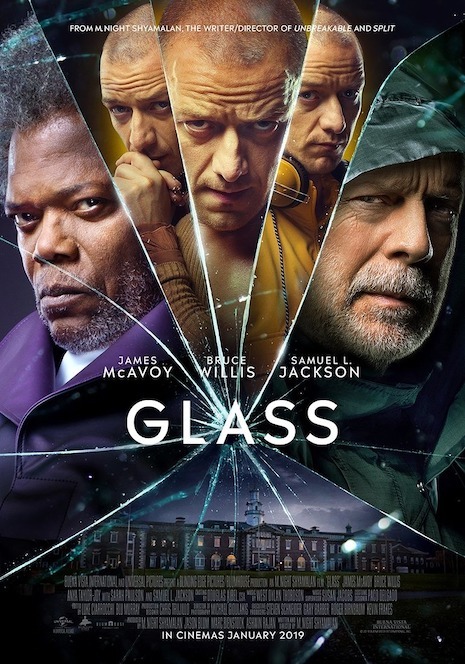 How four decent actors were talked into filming this is a mystery – Sarah Paulson, James McAvoy, Samuel L Jackson and Bruce, must have been swept away by that Shyamalan mystique and lived to regret it. Nice to see Tallulah Willis happily going out to lunch with her grandmother Marlene. We’re not sure what Bruce’s mother thinks of Tallulah’s buzz cut but at least she seems to be eating normally. Tallulah, 20, was treated for an eating disorder that she admits was fueled by cruel online comments. Haters were particularly heartless in their remarks online about Bruce and Demi’s daughters when they were growing up, and we admire the girls’ resilience. Bruce Willis couldn’t care less whether or not he was named on Lindsay Lohan’s Hollywood Hook-up list because he was single at the time. 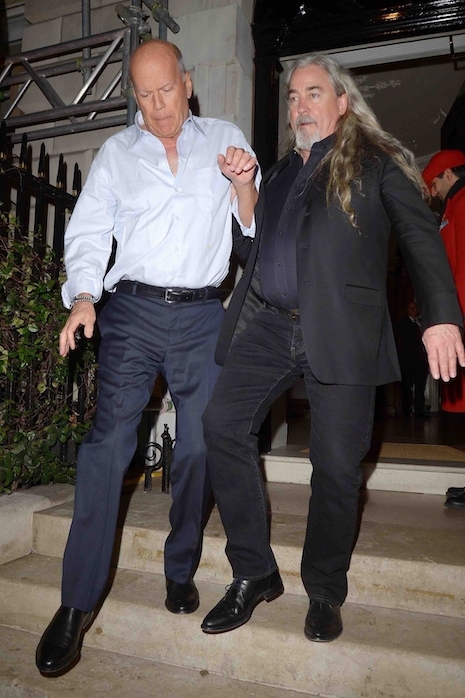 Today is Bruce’s 59th birthday and he and his fertile wife Emma took a walk in Beverly Hills. Bruce already has four daughters (3 with Demi and one with Emma) so he’s probably hoping for a boy. We wonder what it’s like to be married to a man who almost always wears a baseball cap.